Dr. Humbert is an Associate Professor at the University of Florida in the Department of Speech, Language, and Hearing Sciences. She has expertise in swallowing and swallowing disorders. Dr. Humbert’s research program is focused on the physiological mechanisms of swallowing disorders and the development of rehabilitation strategies for dysfunction. Her interests center on the peripheral and central control of swallowing in normal and impaired function. More recently, a major interest of her research program has been to understand the neural mechanisms underlying normal and disordered swallowing and how principles of motor learning can be applied to examine these as well as swallowing interventions. In this context, Dr. Humbert’s research involves neural stimulation, neural imaging, and peripheral perturbation studies of swallowing in humans. These studies focus on aspects of age-related decline and neurogenic dysphagia and how rehabilitation can be more effective when implementing skill learning and/or adaptation to perturbations. Dr. Humbert’s research has been steadily supported by grants from the National Institutes of Health, The American Heart Association, and The American Speech Language Hearing Association since 2006. Dr. Humbert is a widely sought after invited speaker at several regional, national, and international clinical and scientific meetings. 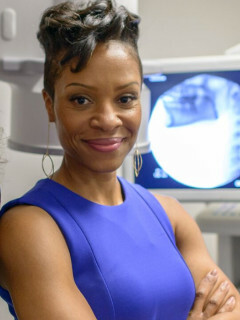 Dr. Humbert has created online courses for CEU credit on swallowing physiology and clinical practice, for which hundreds of clinicians have registered to date and she is the author of the Swallowing Pocket Guide: A Quick Reference for Muscles and Innervation, which has sold several hundred copies nationally and internationally. 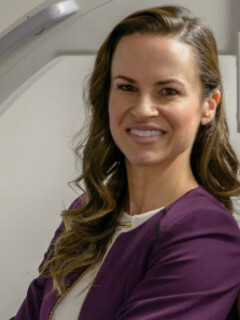 Dr. Emily Plowman is an Associate Professor at the University of Florida where she is jointly appointed in the departments of Speech, Language, and Hearing Sciences and Physical Therapy. She teaches graduate level courses in dysphagia, medical speech-language pathology, upperaerodigestive tract dysfunction and research methodology at USF. In addition, Dr. Plowman provides clinical services in the department of Neurology for individuals with speech and swallowing dysfunction and is the Chief Speech-Language Pathologist at the USF multidisciplinary amyotrophic lateral sclerosis (ALS) clinic. Dr. Plowman is the Principal Investigator of the Neuromotor Speech and Swallowing Restoration (NSSR) laboratory, which she founded in 2011. The mission of her lab is to improve and maintain upper aerodigestive tract function in individuals with neurologic disease and the associated processes of speech, breathing and swallowing. Dr. Plowman and her team aim to accomplish this goal through the provision of expert clinical care, patient education and innovative evidence-based research in both translational animal models and human clinical trials. Dr. Plowman serves on the Board of Directors for the Dysphagia Research Society, is the co-chair for the Northeast Amyotrophic Lateral Sclerosis (NEALS) Consortium Bulbar Committee, on the NEALS Ventilation Committee, and the Medical Advisor for ‘A Life Story Foundation’ a non-profit ALS patient advocacy group. She has current National Institute of Health funding to study innovative and physiologically guided treatment strategies for bulbar dysfunction in neurodegenerative disease.